With a systematic formula, a simple wire can become an unexpectedly unique and beautiful work of art! Great beginner solder class to learn the basics, then take your jewelry making to the next level. 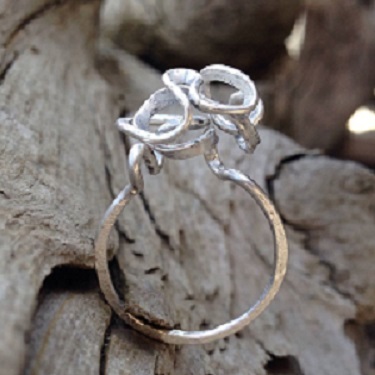 Wear your Spiral Twist Ring proudly for years to come. Materials included. Ages 18 and up or 14-17 with adult.